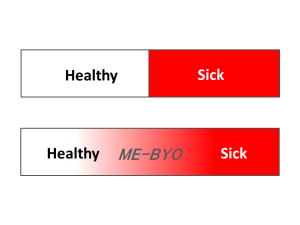 Addressing ME-BYO does not stop at a patient’s symptoms of illness, but rather it strives to address the body’s condition as a whole and encourage people to take a pro-active approach to health. This means that individuals are supported to maintain health and prevent the onset or further progression of disease through lifestyle-based approaches that complement medical approaches. And in Kanagawa Prefecture where there are a variety of natural resources, the prefecture has created a ME-BYO strategic area where ME-BYO strategies are on-going. Issued in January 2014, the “Kanagawa Manifesto of Curing ME-BYO” explains the ME-BYO strategy to the public and outlines areas of focus. As described in the Manifesto, this strategy is built upon two pillars: cultural integration of the ME-BYO concept and community cooperation toward a common goal. To achieve health through “curing ME-BYO,” the strategy focuses on diet, exercise, and social participation. The ME-BYO industry is being created alongside strategies to address ME-BYO and is expected to become an outlet for specific services and products that will assist in treating ME-BYO. Specifically, industries are developing around the following areas: health maintenance and wellness, diagnostic medical devices that utilize sensors to monitor ME-BYO, and the collection and utilization of health data. These industries break away from past health care industry trends. To support industry creation, Kanagawa established the Association for ME-BYO Industry Creation in August 2014. Currently, over 250 companies and organizations are a part of this association working together to implement health care business models, networking, exchanging information, and other activities related to the growth of ME-BYO industry. Companies and organizations are being encouraged to appoint a Chief Health Officer (CHO) to support ME-BYO related activities and encourage healthy habits in the workplace. The designated CHO is responsible for administering programs that encourage health management and healthy behavior change. Efforts by the CHO are expected to improve productivity, increase satisfaction and reduce healthcare costs leading to stronger overall performance. A CHO Promotion Consortium was created in October 2014 to support the increased utilization of CHOs within companies and organizations. The consortium works to analyze and share information about the role of the CHO to further expand uptake of this concept. They also work with companies and organizations to address the issues organizations face when trying to introduce a CHO and assist them in developing tools specific for their organization, such as a personal health level, health management, and evaluation.